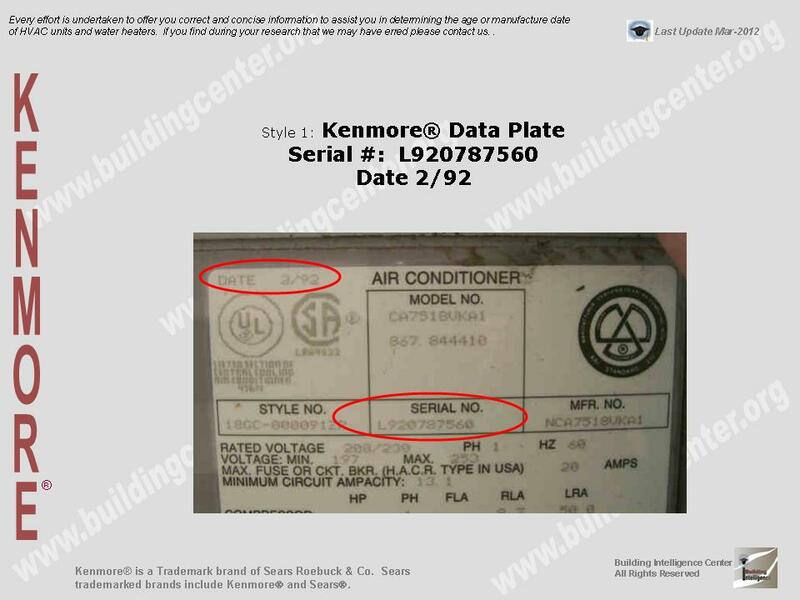 How to determine the date of production/manufacture or age of Kenmore® HVAC Systems. 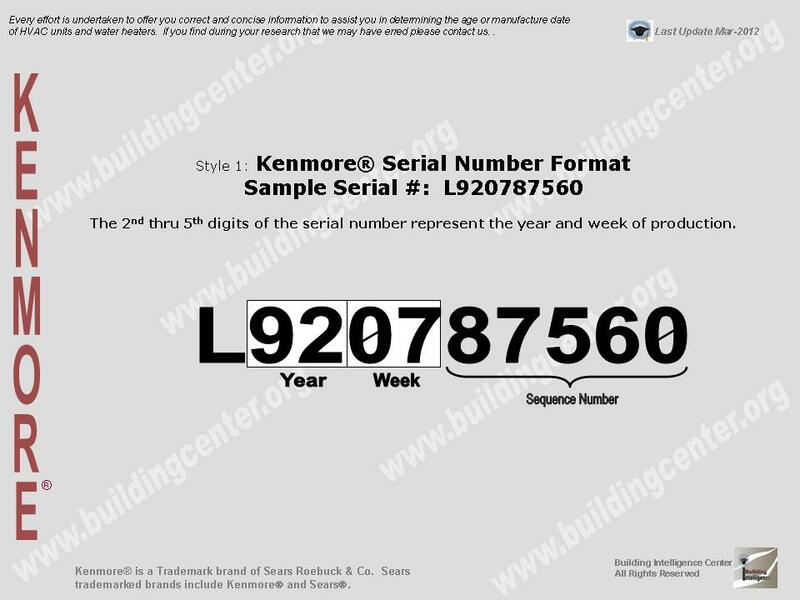 The date of production/manufacture or age of Kenmore® HVAC equipment can be determined from the serial number located on the data plate. 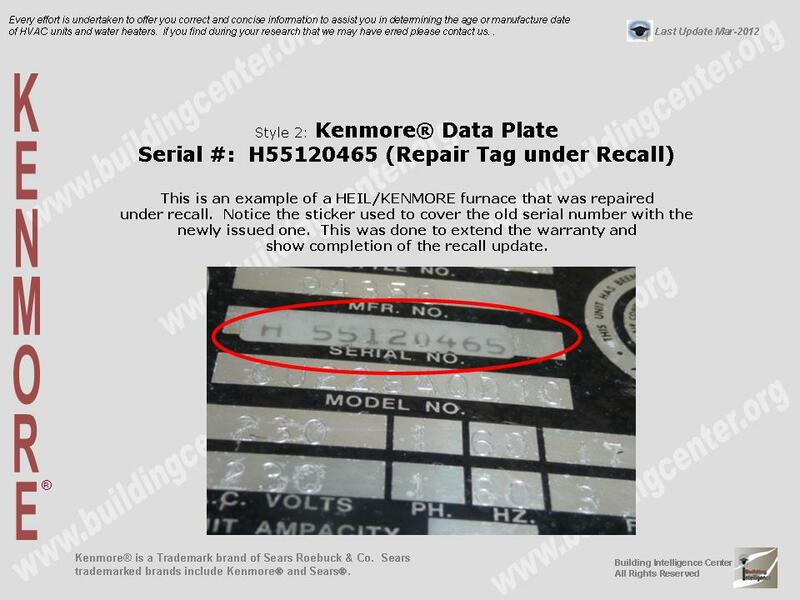 Parent Company: Trademark brand of Sears Roebuck & Co. 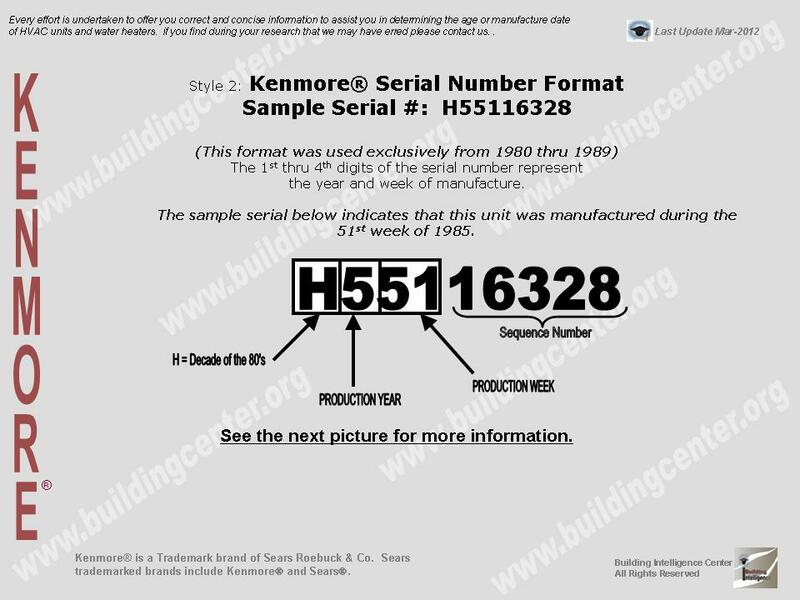 Decade of manufacture can be determined by using the 1st letter digit. 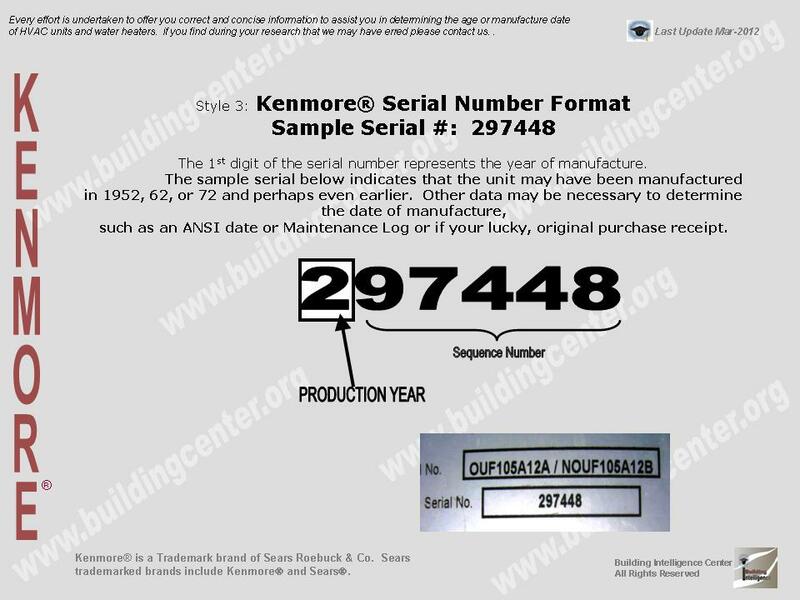 Year of dcade can be determined by using the 2nd numerical digit. 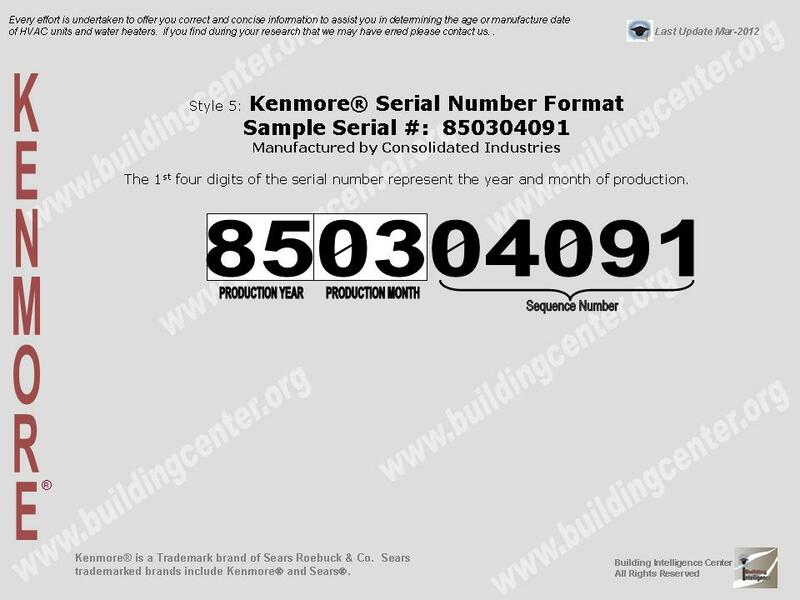 Year of manufacture can be determined by using the 1st numerical digit. 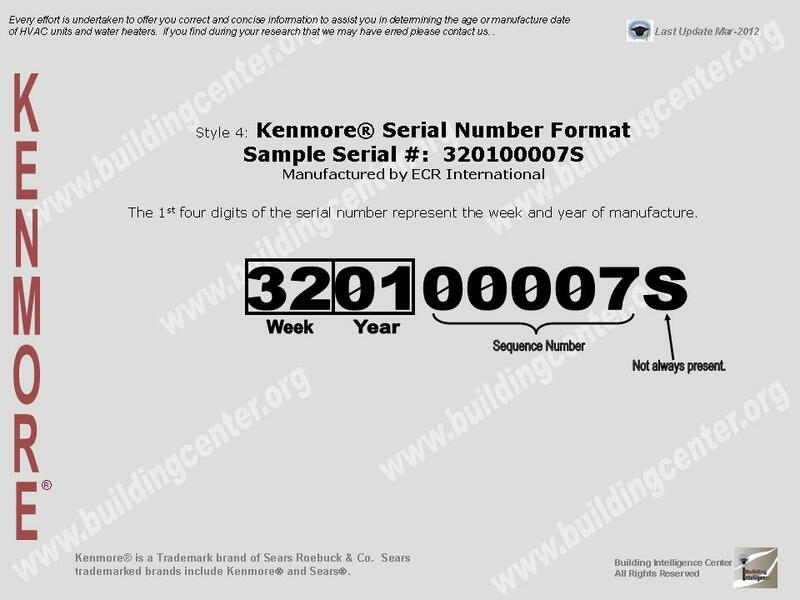 Month of manufacture can be determined by using the 3rd & 4th numerical digits.